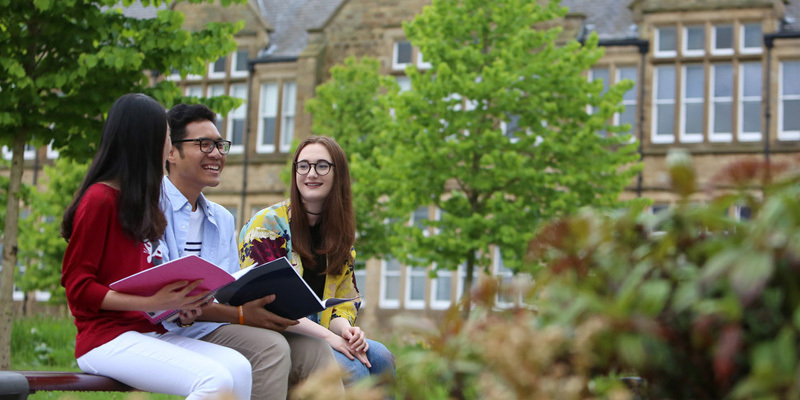 When joining our School, you become a part of a vibrant student community which offers may opportunities to get involved in a range of activities, societies and other social opportunities. Our students frequently talk about the community of the School and how this made a difference to their time at Leeds. Your engagement beyond the classroom can take many different forms. Student Leaders work in partnership with academic colleagues, both within the School and through the Leeds University Union, to help define the direction of our School. Student Ambassadors work with us on open days, interviews and portfolio inspections and via the educational engagement team, to engage the next generation of students in our subjects. We also have a number of societies that were founded by our students. The Collaborative Arts Society is for all students in the School of Fine Art, History of Art and Cultural Studies, regardless of the course you are taking. CASoc organises a range of arts-related events as well as more general social activities. Find out more about the Collaborative Arts Society. Founded in 2016, this is a society for anyone with an interest in museums and galleries. They organise trips to local organisations and provide a space for discussion of issues relevant to the sector. There are hundreds of societies and clubs that are run by Leeds University Union (LUU), including sports societies, volunteering groups, political and religious societies, amongst many others. In some cases, active involvement (for example, being on the committee) of a society is recognised and included on your Higher Education Achievement Record, which is provided together with your degree transcript. We work together with our Student Leaders to hold social events for all our students, including games nights, film screenings and a summer ball. The School runs a number of academic-related events which may be of particular interest to our students, including conferences, workshops and symposia. A programme of regular research seminars and salons offer a chance to discover the wider research culture within the School. BA Fine Art students regularly open their studios to wider audiences at various points of the year, offering an insight into their ongoing work. A weekly newsletter is sent to all our students to let them know about social events, volunteer opportunities, talks, exhibitions and other activities taking place in Leeds. We organise trips for our students throughout their time at Leeds, starting right from induction week with excursions to introduce you to the wealth of museums and galleries in our region. During your second year, you will participate in a group trip at around the time you will be thinking about your dissertation, so that you can plan your research and question while engaging with art and culture. A number of modules include visits to various cultural and heritage sites in the region. Colleagues will often volunteer to guide you around the latest exhibitions in Leeds. Regardless of your course, you are welcome to join us for our Visiting Artists Talks (VAT) which take place every Monday during term time. It is compulsory for all BA Fine Art students to attend as part of their course but is open to wider audiences to attend. These talks offer an excellent opportunity to engage with contemporary artists from across the UK and beyond. You are welcome to join us for this engaging event, which includes community heritage groups, freelancers, museum professionals, archivists, students and academics. Many of our students have risen to the challenge of talking about heritage in just three minutes, covering topics such as curated exhibitions and their art practice. Studying and living in Leeds means that you will have access to the vibrant arts culture of our city. Many of our fine art students are at the centre of local art collectives and organise events which everyone can tap into. You could get involved with the flourishing DIY art scene local to the University, or take part in the monthly Leeds Art Walk organised by Pavilion, which guides participants round exhibitions across the city. There are also many opportunities for fine art students to organise exhibitions at artist-led spaces around the city.